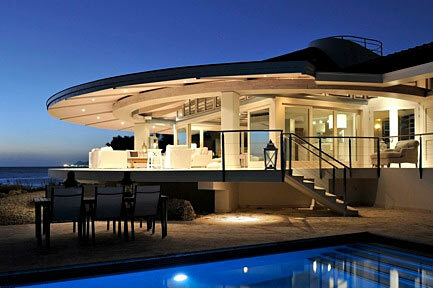 I am so excited to offer my only Platinum Plus property, Villa Salentein. 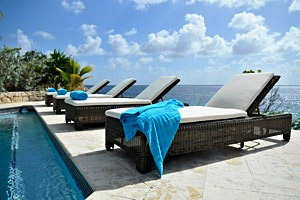 Villa Salentein is a luxury oceanfront retreat on the north shore of tranquil Bonaire. Discerning travelers will revel in the ambiance of this high end villa. If you seek out a modern oceanfront experience, look no more. Enjoy your own refreshing pool or dive from your villa. The stairs into the sea lead you to some of the island’s best diving and snorkeling. The main feature of the villa is outdoor living with a scenic living area and comfortable high end furnishings. The kitchen is state of the art. If you prefer, a chef can be organized to prepare your meals. 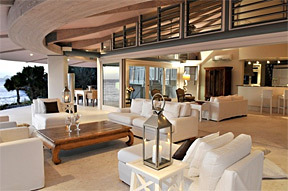 Villa Salentein is an elegant experience yet it is comfortable reflecting the ambiance of the Caribbean. The art, colors, furnishings and amenities are luxurious and pleasing. Each bedroom has unlimited ocean views. The villa has a private gym, wifi and state of the art entertainment systems. There are 5 bedrooms and 4 bathrooms for up to 10 people. The villa is perfect for a group or 4 couples. Call 1-800-219-0118 to book Villa Salentein or email ann@bonairecaribbean.com. New bookings mentioning Bonaire Bliss will earn dining credits at Wil’s Tropical Grill. This entry was posted on September 5, 2010 at 6:23 pm and is filed under Where to Stay. You can follow any responses to this entry through the RSS 2.0 feed. You can leave a response, or trackback from your own site.